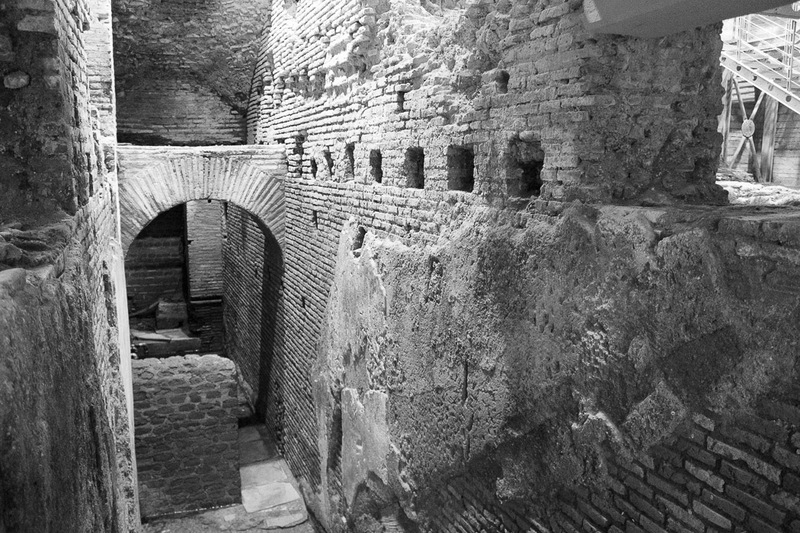 Vicus Caprarius is an underground site located under the Trevi Cinema at Vicolo del Puttarello 25, a block southeast of the Trevi Fountain. 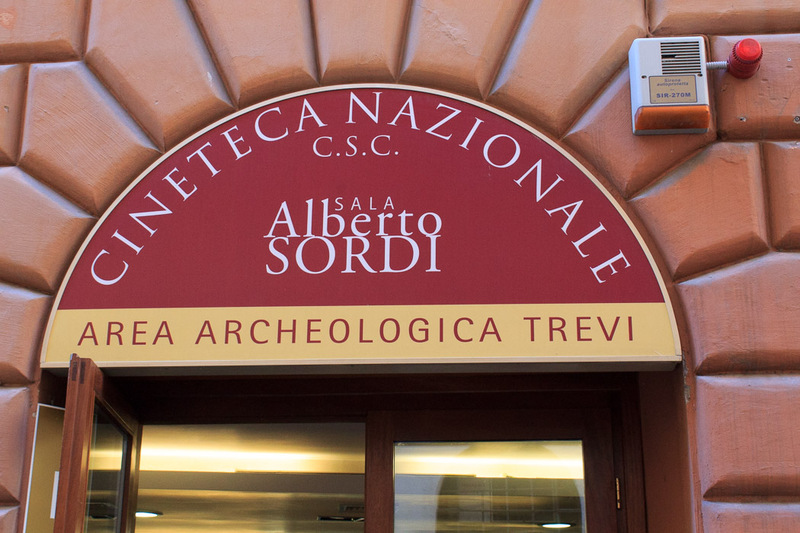 Just walk a very short block south from the Trevi Fountain, then turn left for another very short block, then turn right onto Vicolo del Puttarello for another very short block to find the theater on the right side of the street. 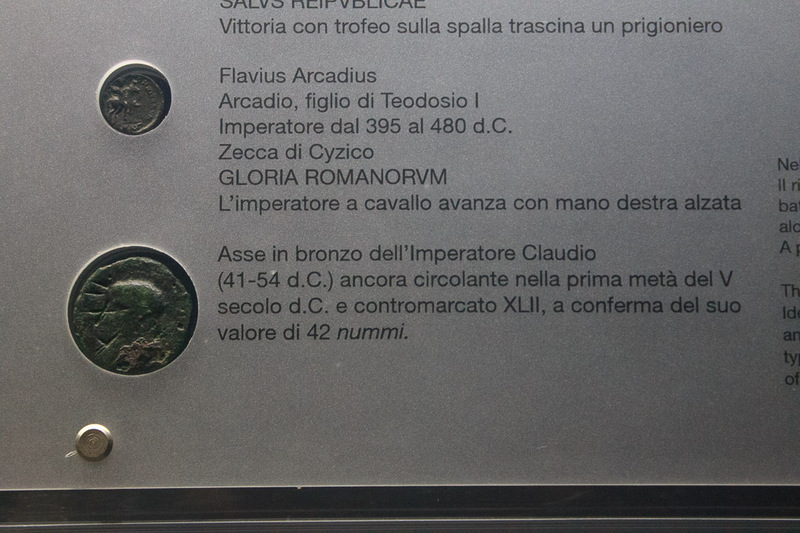 See all Vicus Caprarius photos. In addition to your ticket, you can buy a guide map, but don't bother since it just contains the identical pictures and descriptions as those on the signs in the underground. After you buy your ticket, you walk about 25 feet down on a set of metal stairs into a large underground room which is divided into 4 sections with a very small museum along one side, making 5 areas to see in all. Signs with good descriptions are in each section. You walk throughout this underground room on metal walkways and look at the ruins which the walkways take you to. The site was excavated between 1999 and 2001. 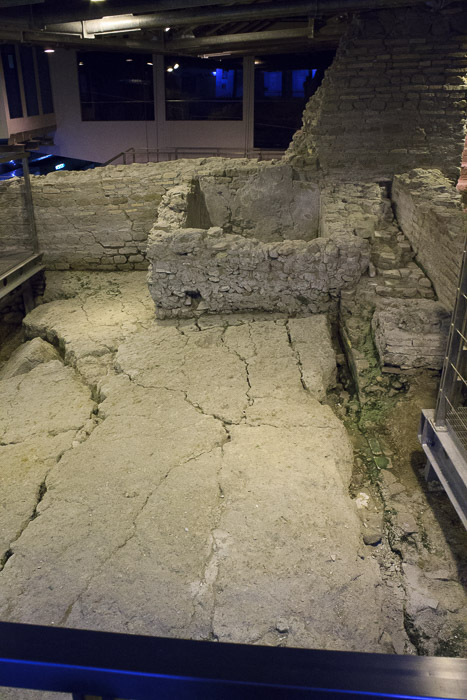 The site is named Vicus Caprarius after the street which ran past the ruins, located under today's Via di San Vincenzo. Although I would like the explanations of the site to be upgraded from good descriptions to excellent descriptions (there are things I just don't understand about the site), and although the site is not spectacular, I think it is well worth the low entrance fee, little time required to see the site, and ease-of-access from the Trevi Fountain which you're already going to visit anyhow. The southeast corner of the excavated area exposes a medieval settlement. 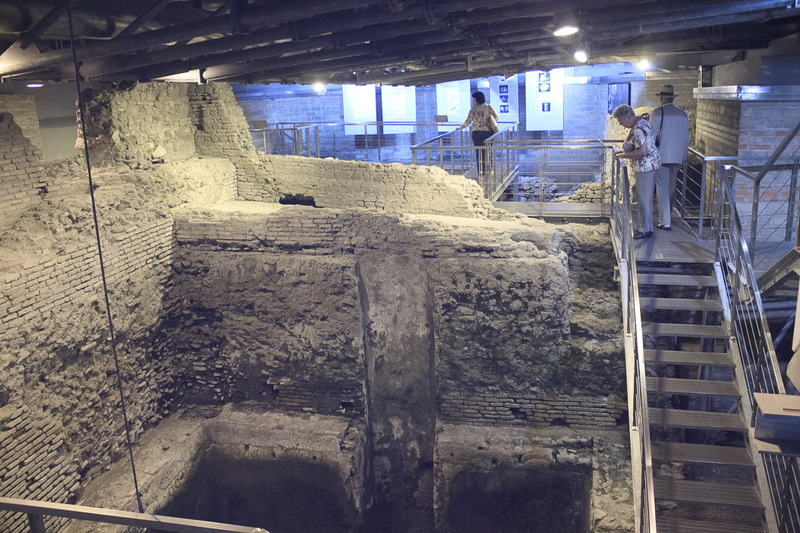 After the imperial age, this neighborhood was gradually abandoned as Rome lost population and contracted. The excavated ruins here show two houses which can be dated to the 12th and 13th centuries, and were built from discarded bricks and tufa blocks from prior buildings from this site or nearby (photos below). The southwest corner of the excavated area was a building, or part of a building, which had four rooms. But some time around Hadrian's rule (117 - 138 AD), it was converted into a large water storage tank for the Aqua Virgo aqueduct. The walls were doubled in thickness to withstand the pressure from so much water, and lined, along with the floor, with a thick coat of waterproof plaster. 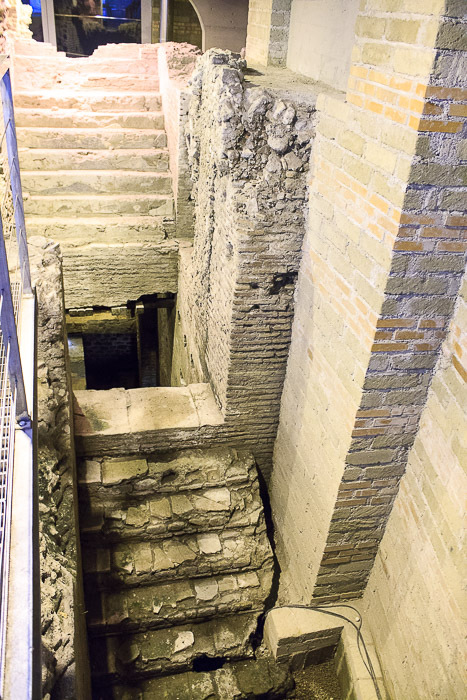 The entrance of water from the Aqua Virgo was on the west wall (the aqueduct is actually about a block away to the west), and it exited through two channels at the bottom of the south wall. At the top of that south wall is an overflow exit for the water. The tank's capacity is estimated at 37,000 gallons, which forces the conclusion that this held water for public use rather than just to supply a couple nearby buildings. 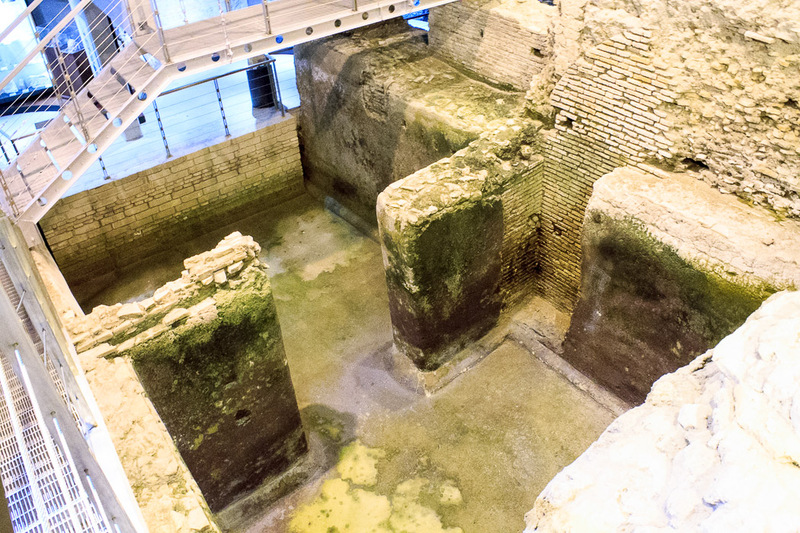 18 of these secondary castella (storage tanks) of the Aqua Virgo were documented; this is the first actually uncovered. The water tank was abandoned in the first half of the 6th century, since the Goths under Vitige cut the aqueducts in the year 537 AD. 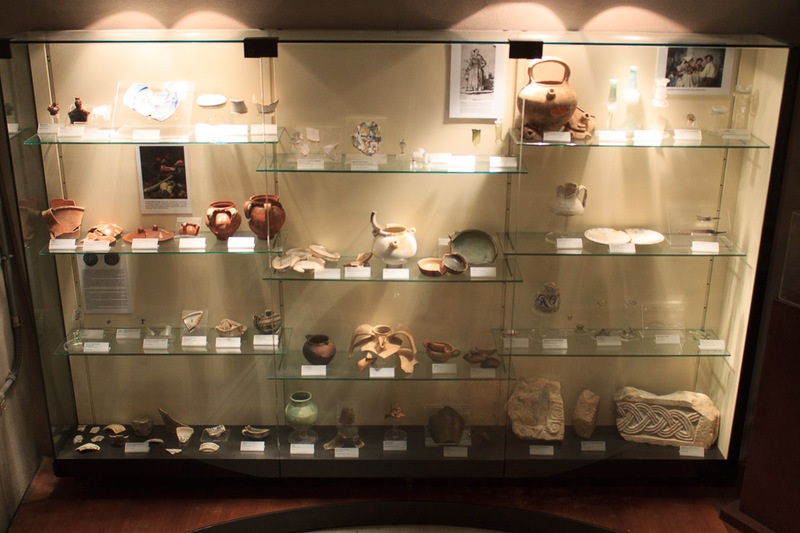 The western edge of the underground site houses a small museum of artifacts found during the excavation. 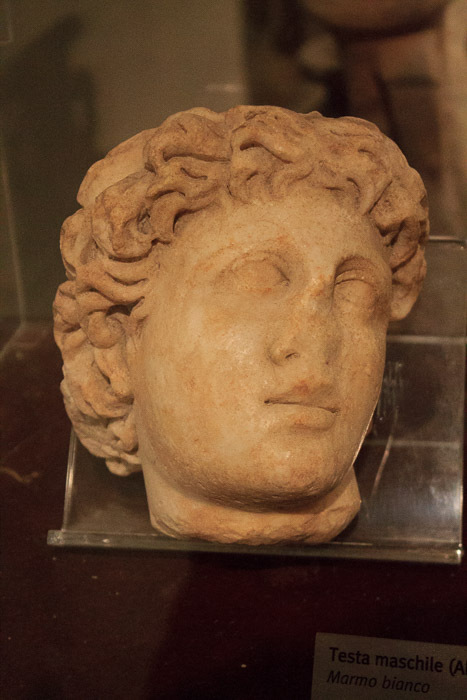 The sculpture of the head on the right is from the 130s or 140s AD (based on the hair style). The water vases in the 1st photo below were made in Africa. 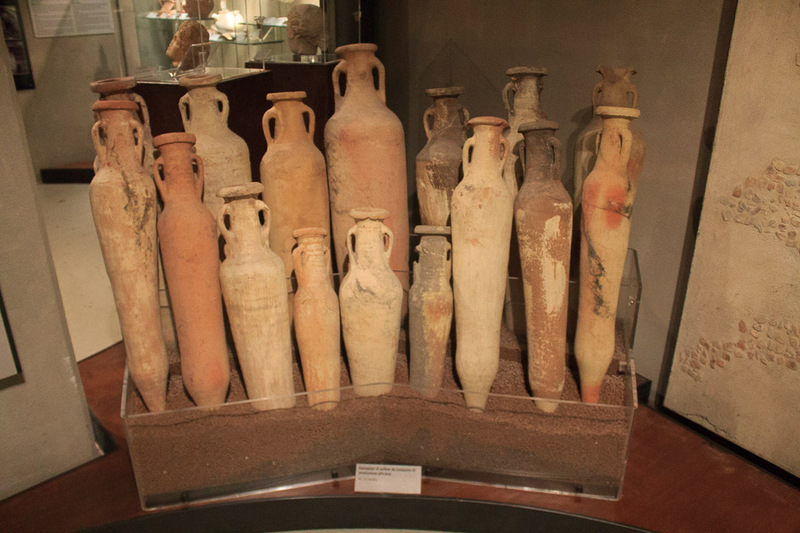 A 5th-century fire, probably due to the sack by the Vandals in 455 AD, devastated part of these buildings, causing abandonment of the lower level and burial of over 800 small bronze coins (4th photo below). The northwest corner of the excavated area was an apartment building (insula). 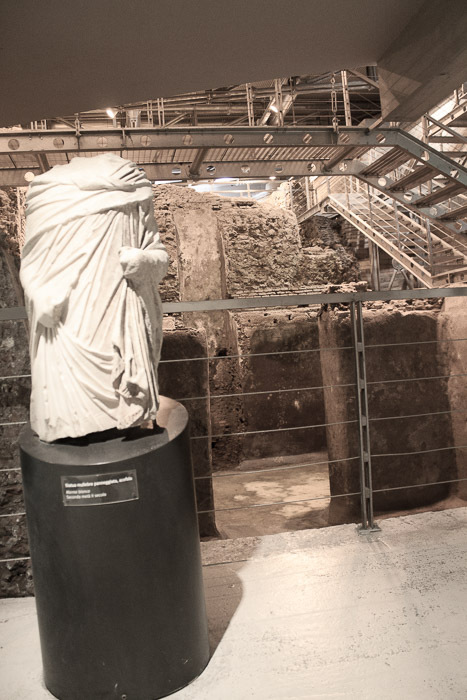 It was originally a courtyard built during the time of Nero but later became a roofed corridor. During the 4th century the apartment building was turned into a luxurious single family noble residence. 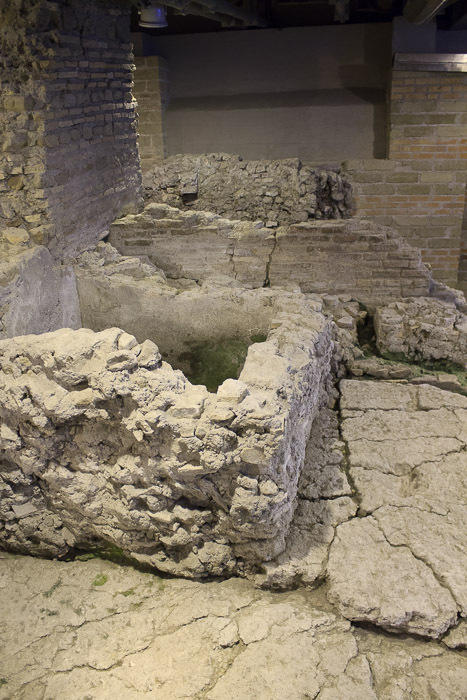 A lavatory was installed in the corridor, hidden by a tufa block wall and served by a stonework water basin. A water tank was installed below the stairs, fed by plumbing. 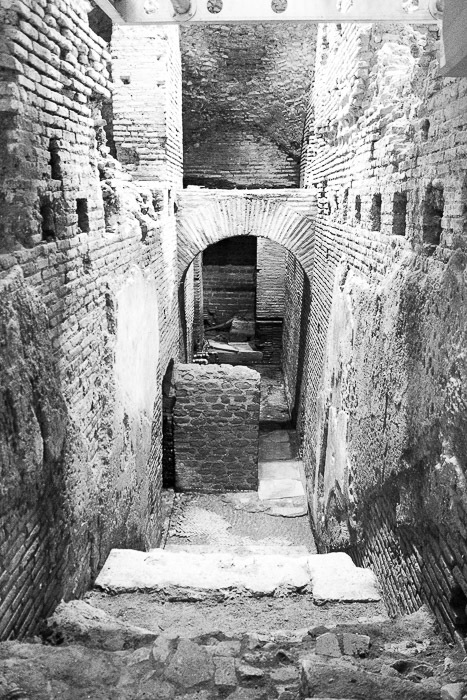 The lighting in this section of the excavated area is so varied in type and color temperature that I couldn't correct the color of the photos in this area, and just converted them to black-and-white. Holes in the wall which supported second floor beams, and evidence of steps going between the first and second floor are in the walls of this corridor. 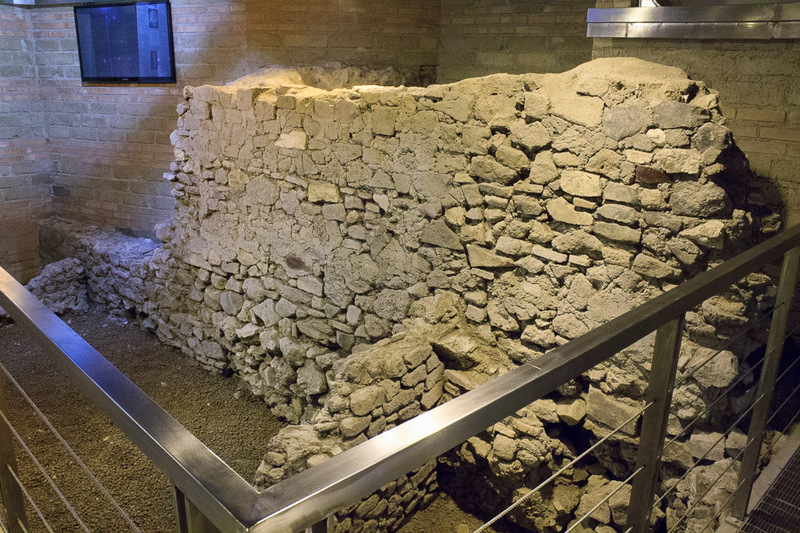 The northeast corner of the excavated area shows a stairway that was originally created with brick steps which connected the first and second floors. 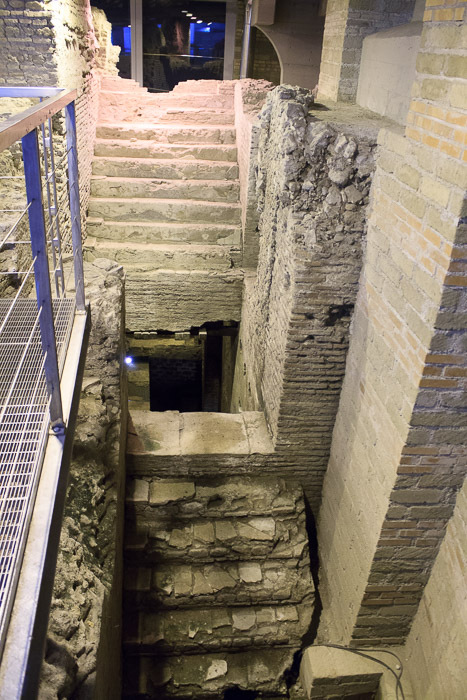 But in the middle of the 4th century when the insula was turned into the noble residence, the stairway was covered by travertine between the ground floor and the first floor, and with slabs of marble between the first and second floor.